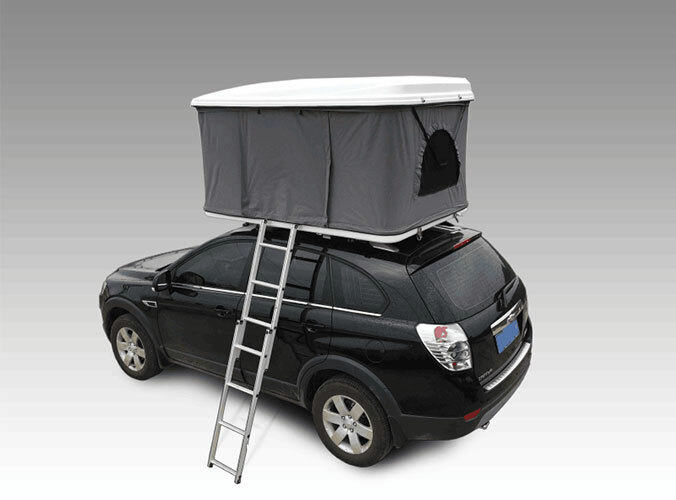 We are often asked why we prefer to use roof top tent fabrics that are water resistant instead of being waterproof. The answer has to do with the breathability of the material. Waterproof tents produce a very unpleasant musky micro-climate inside the tent. We want an exchange of gases and vapors between the interior of the tent and the exterior, while at the same time keeping the water droplets outside the tent. As breathability increases, waterproof qualities decrease, and as waterproof qualities increase, breathability decreases. The trick is to find the right blend of both. Poly-cotton has very high resistance to abrasion. Being core spun, the exterior cotton fibers are smooth, giving the material a soft feel. When a tent made of poly cotton is folded away, the smoothness of the fabric creates very little friction or wear between the layers. In contrast, pure synthetic fabrics have coarse fibers and exhibit strong abrasive qualities. Your tent material should be selected for its low abrasion qualities, and its strength to resist the abrasion. 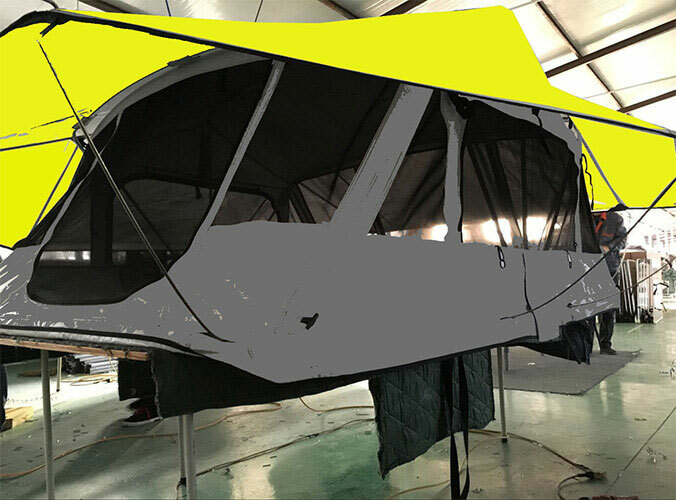 The roof top tent quality of poly cotton fabric varies depends on the balance between polyester and cotton, where it was milled, and what additives are used to enhance its qualities. Fabric used by Eezi Awn and the Advanced Technologies fabric, used by AT on their JK Habitat, are produced by mills that not only weave the material but also treat the material in house for UV stability, waterproofing, and anti-mold. Because the mills see the fabric through from start to finish, they have control over the whole process, so their fabrics are more consistent and reliable. Like hand crafted beers or estate-bottled wines these fabrics are more costly to produce, but the quality and camping experience justifies the expense. The weight difference between fabrics is minimal, a matter of a few pounds or kilos. Tents we recommend have fabric weights of around 380g/sq.m (about the same thickness and weight as a pair of Carhartt work pants). Our experience has been that the heavier materials show excellent breathability and water resistance, low abrasion, and high durability. When you look at a 380g/sq.m treated fabric you’ll find that at least 70g/sq.m of the weight comes from the immersion treatments mentioned earlier. Lighter weight fabrics tend to be less well treated and don’t exhibit the breathability, abrasion resistance, and durability of the heavier fabrics.